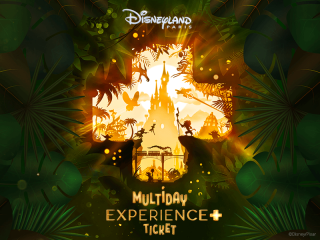 The Experience+ Ticket gives you access to both Disneyland® Park and Walt Disney Studios® Park, with the ability to hop between both Disney® Parks as many times as you like for the duration of the ticket. Privileged Disney Illuminations Viewing Area Access: Experience the spectacular nighttime show from an exclusive area. Take advantage of a guaranteed space to see the unforgettable fireworks, light projections and special effects in style. Money can't buy access to this area! Please note: this segment must be used on the first day of your ticket. 2-Day/2 Park Disneyland® Paris Experience+ Ticket can only be used on days selected when booking. You can visit both parks as many times as you wish during this period. Disneyland® Paris Experience+ Ticket is only on sale until 29th August 2019 with the 30th August 2019 the very last day a ticket can be commenced.